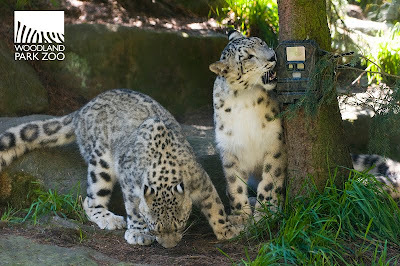 Over the past two years, we have all watched snow leopard cubs Gobi and Batu grow and explore—from their precious first weeks, to their big debut, their first birthday and their participation in a smelly study to help track wild snow leopards. But now we’re preparing to say goodbye to Gobi, our male juvenile who is 2 years old and ready to move on to a new home at Rolling Hills Wildlife Adventure in Salina, Kansas. 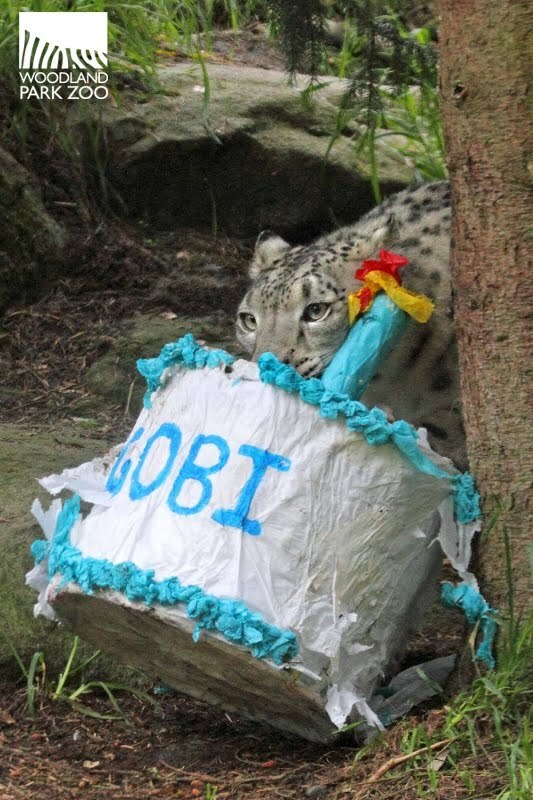 Gobi—who got his name from more than 35,000 votes cast by zoo fans—has been recommended to move as part of a cooperative breeding management program known as the Snow Leopard Species Survival Plan (SSP). 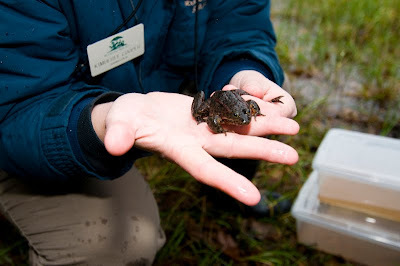 SSPs work to ensure genetic diversity and healthy populations. The SSP does not have immediate plans to breed Gobi, but this is an appropriate age for him to make his departure following the natural course of how snow leopards live in the wild. 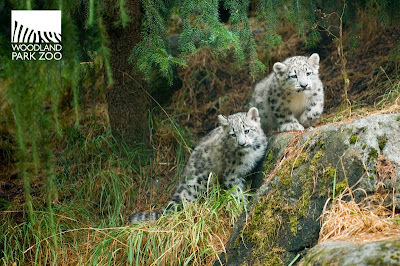 Snow leopards are essentially solitary animals and it is typical for them to leave their mothers to live alone at about 18 months old. 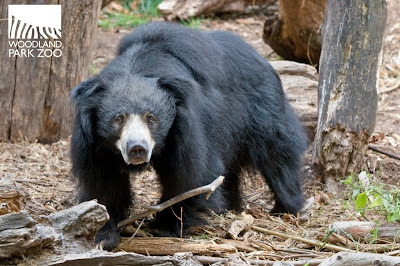 In a few months, female juvenile Batu will also move, heading to Assiniboine Zoo in Winnipeg, Manitoba, Canada. Gobi’s move is scheduled for April 7 so this is the last weekend to visit the twins together. 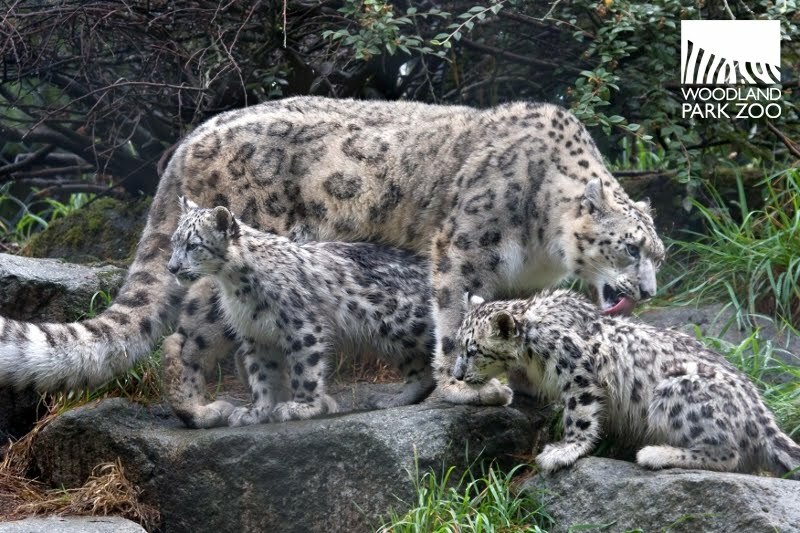 Snow leopard scientists estimate as few as 3,500 remain in the wild. Seattle-based Snow Leopard Trust (SLT) is among the 36 field conservation projects that Woodland Park Zoo partners with around the world. 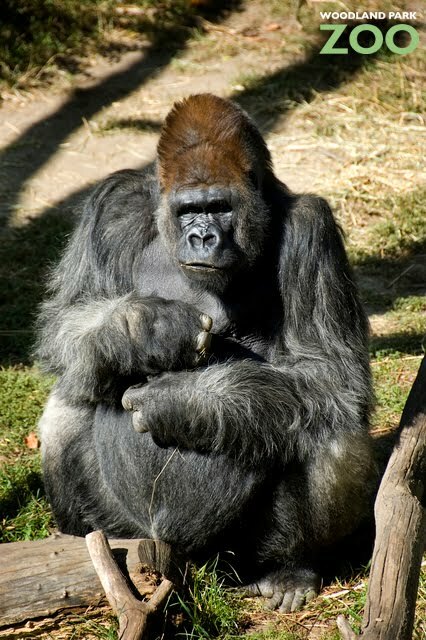 The Trust was created in 1981 by late Woodland Park Zoo staff member Helen Freeman, the namesake of the mother of Gobi and Batu. Through innovative programs, effective partnerships, and the latest science, the SLT is saving these endangered cats and improving the lives of people who live in the snow leopard countries of Central Asia. 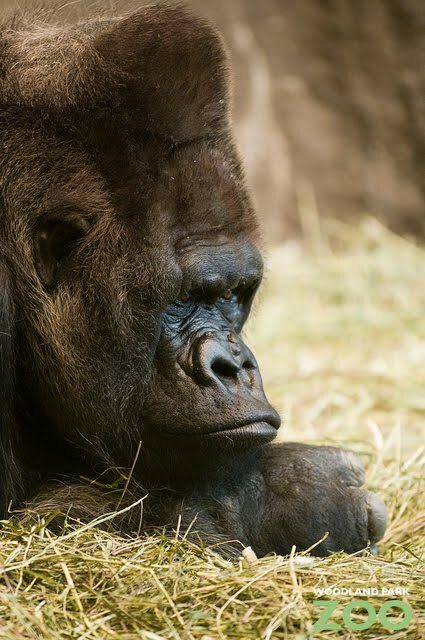 Video produced by Ryan Hawk/Woodland Park Zoo. Photos (from top): Ryan Hawk/Woodland Park Zoo, Dennis Dow/Woodland Park Zoo, Ryan Hawk/Woodland Park Zoo, Dennis Dow/Woodland Park Zoo. 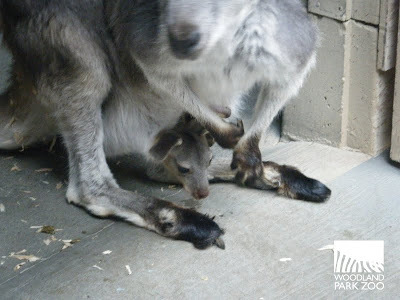 The last time we showed you wallaroo Fergie’s joey, it was just barely peeking out of its mother’s pouch. But now we have video of the first sighting of Fergie’s joey fully outside of the pouch! 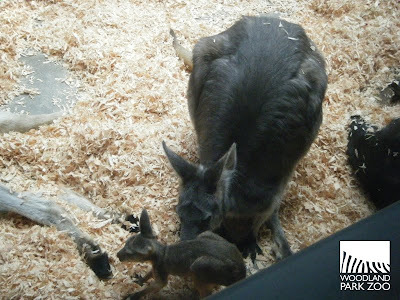 You can find Fergie and her joey, which was born last September, on public view in the zoo’s Australasia exhibit. Fergie can be identified by the green tag in her right ear, and though there's no guarantee, with some luck and patience, you might just get a glimpse of the joey too. 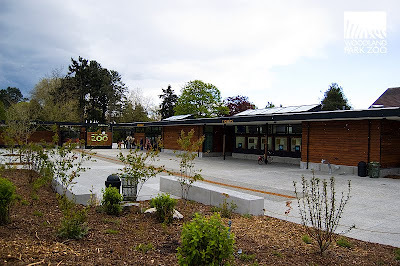 Photos and video by Wendy Gardner/Woodland Park Zoo. Currently, I'm having a great time going through the Woodland Park Zoo's docent training program. Since I've only been with the zoo for nine months, words can't express how much there is to learn to even try to catch up with my co-workers. 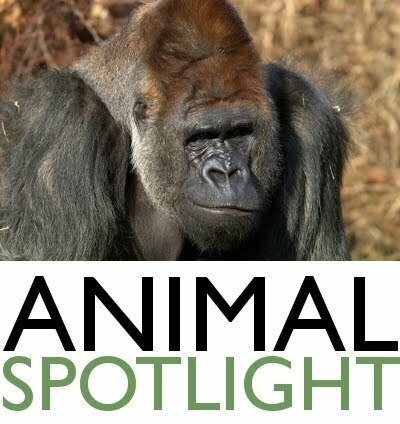 This training has afforded me the opportunity to develop a more intimate understanding of our animals, exhibits, horticulture, education and conservation efforts. Best of all, it's fun, and it has introduced me to such dedicated, smart and passionate volunteers and animal and conservation advocates. One of our core assigments was to develop a brief presentation about one of the Woodland Park Zoo's Partners for Wildlife. Lucky for me, our team got the Grizzly Bear Outreach Project. Personally and professionally, I love grizzlies so much that part of my contribution to the presentation included writing a poem about them. We delivered the poem last Saturday and it received laughter and applause. 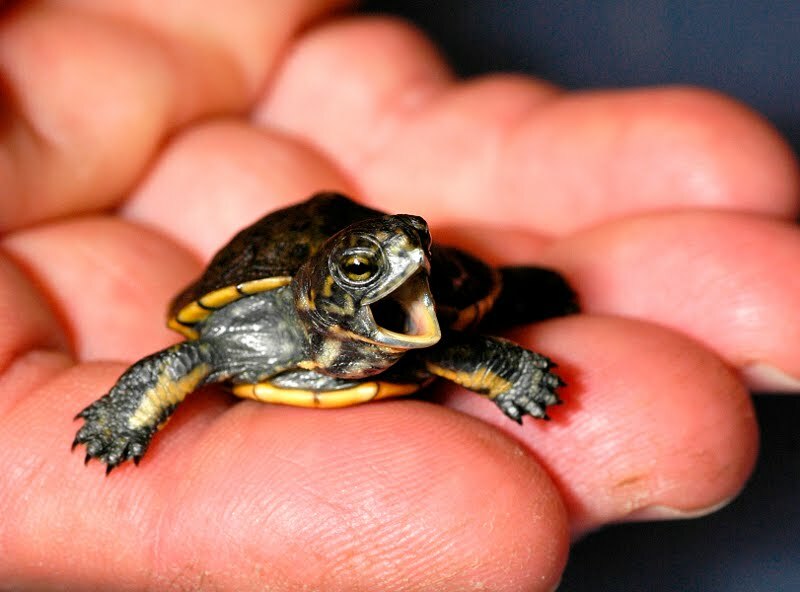 I was just hoping that it might brighten your day, too. You will find our friend, the grizzly. They weigh up to a thousand pounds. And in the fall, they get quite round. 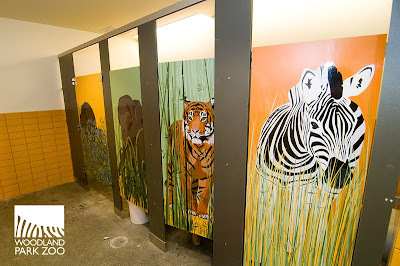 They feed on animals and plants. 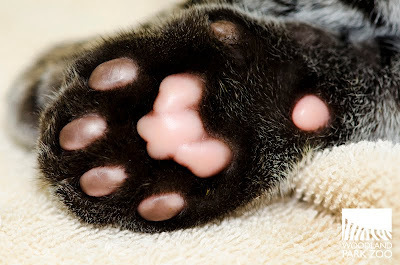 They have thick fur like warm sweat pants. They're such a strong and mighty bear. But, sadly, they are now so rare. Their own habitat has been kicked. And with the humans, they conflict. So, some people made a plan. To support the grizzly life span. They teach humans about the bear. And here they host a Bear Affair. They want us to live side-by-side. And to be smart when we're outside. We'll think about the way we camp. And treat the grizzly as a champ. We want them to know that we care. 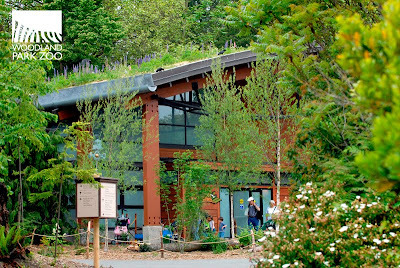 Woodland Park Zoo partners with the Grizzly Bear Outreach Project to study and protect bears in North America and teach communities how to live sustainably with wildlife. Do you live or camp in an area with bears? 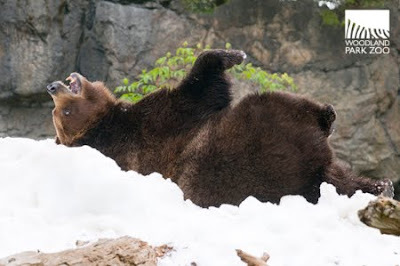 Study these Bear Smart tips and don't miss the zoo's Bear Affair event on June 4 to experience up close the importance of bear safety. 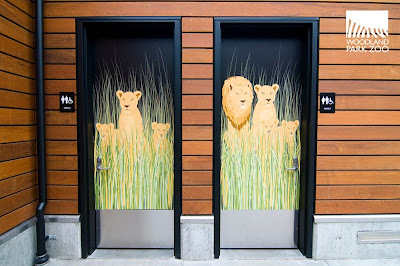 Photos (from top): Dennis Dow/Woodland Park Zoo, Ryan Hawk/Woodland Park Zoo. Video by Ryan Hawk/Woodland Park Zoo. 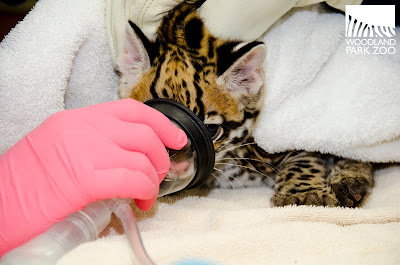 Regular examinations like the one seen in the above new video are part of our preventive health program for the thousand-plus animals under the zoo’s care. Evita will continue to undergo a series of exams for the next couple of months to ensure she’s achieving acceptable weight gains and other important benchmarks. 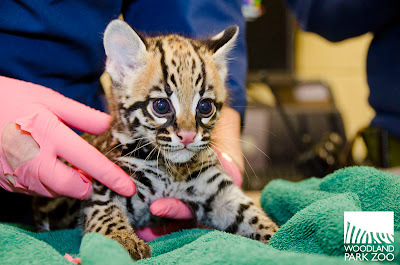 Evita is now 8 weeks old and is still living with mom Bella in a quiet and safe behind-the-scenes area. 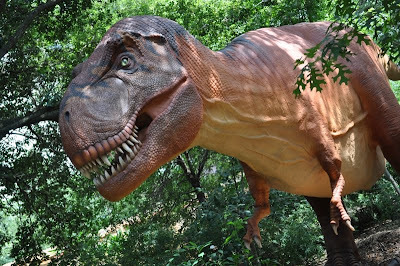 We know you are itching to see her in person and the latest update is that we can expect to see her out on exhibit in the Tropical Rain Forest building some time in mid- to late-April. 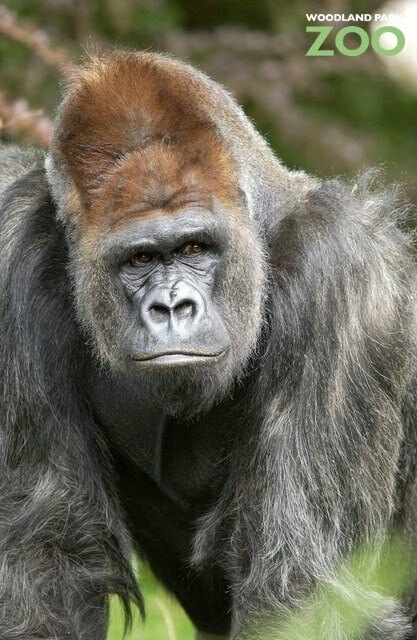 To minimize disturbance for Bella and Evita while they remain behind the scenes, zookeepers are using a closed-circuit cam to keep an eye on them. They’ve seen Bella doing a great job providing maternal care, and have noticed Evita spending more and more time out of the den playing and climbing. Keepers have been giving her a variety of enrichment toys to help stimulate natural behaviors, but so far her favorite enrichment toy seems to be her mom! 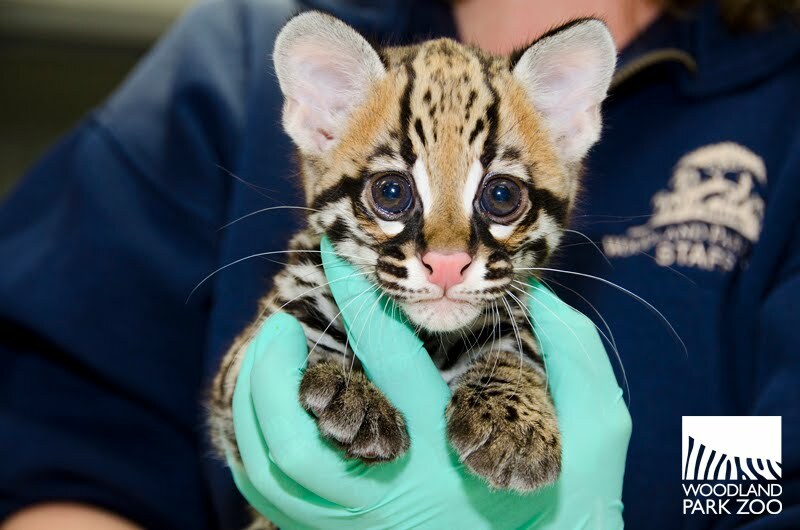 Sign up for our e-news to follow the progress of More Wonder More Wild and get zoo updates on animals, events and special discounts. Thanks for your support! NEW TIGER AND ASIAN BEAR EXHIBITS…COMING SOON! We’re still in the earliest stage of conceptual design for the exhibits (the drawing up above is one artist’s concept rendering). 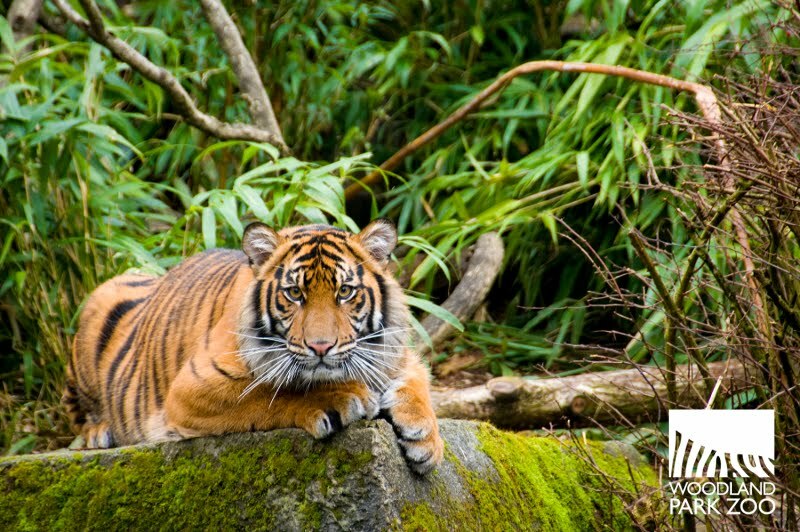 We’re putting together plans to replace the 60-year-old infrastructure that tigers and Asian bears inhabit now. 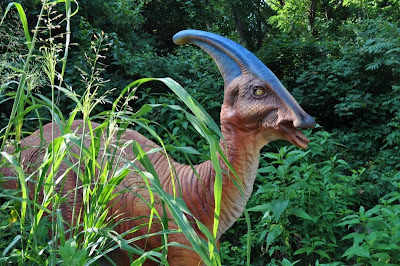 We’ll be transforming this outdated part of the zoo and giving these animals an enriching, naturalistic home that encourages natural behaviors such as foraging, stalking prey, even caring for young. 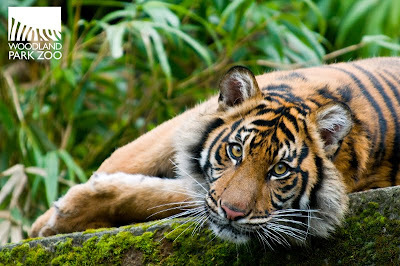 The new exhibits will help us tell the story of the critical conservation issues facing the endangered wildlife of tropical Asia—from habitat degradation to human-wildlife conflict. The exhibits will be a catalyst for visitors to get involved and join us and our partners around the world to build a better future for wildlife. Right now, we’re targeting a 2013 opening for the first phase of the exhibit complex. 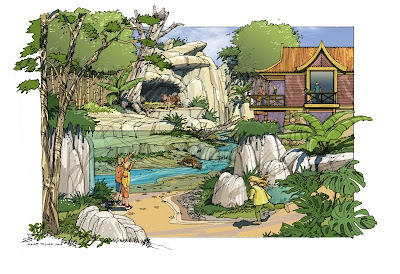 We’re looking to raise $21 million for this tiger and Asian bear exhibit complex, which we're calling the Asian Tropical Forest. The Asian Tropical Forest is actually the centerpiece of our $80 million comprehensive campaign, More Wonder More Wild. We’ve already raised 74% of our fundraising goal for More Wonder More Wild over the past few years during the campaign’s quiet phase. Today marks the day we launched the community phase of the campaign to raise the last 26%. To be successful, we’ll need the support of our whole community, and right now we’re hard at work crafting fun ways we’ll reach out to engage you all in this tremendous effort over the next two years. There’s going to be lots more news to come—ways to get involved with the campaign, details on exhibit design plans, and progress with the other initiatives funded by this campaign including animal care, visitor experiences, field conservation, education and more. A good place to start for more info on the campaign and ways to get involved is http://www.morewonder.org/. And stay tuned to this blog for more updates as exhibit plans unfold. 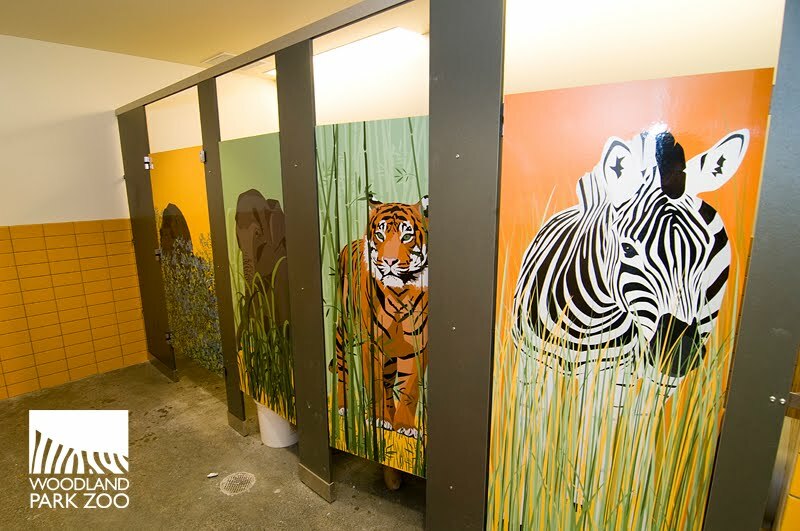 Images (from top): Tiger by Ryan Hawk/Woodland Park Zoo, Artist’s concept rendering by Scott Taylor, Sloth bear by Dennis Dow/Woodland Park Zoo, Tiger by Ryan Hawk/Woodland Park Zoo. Video produced by Ryan Hawk and Phil O'Sullivan/Woodland Park Zoo. 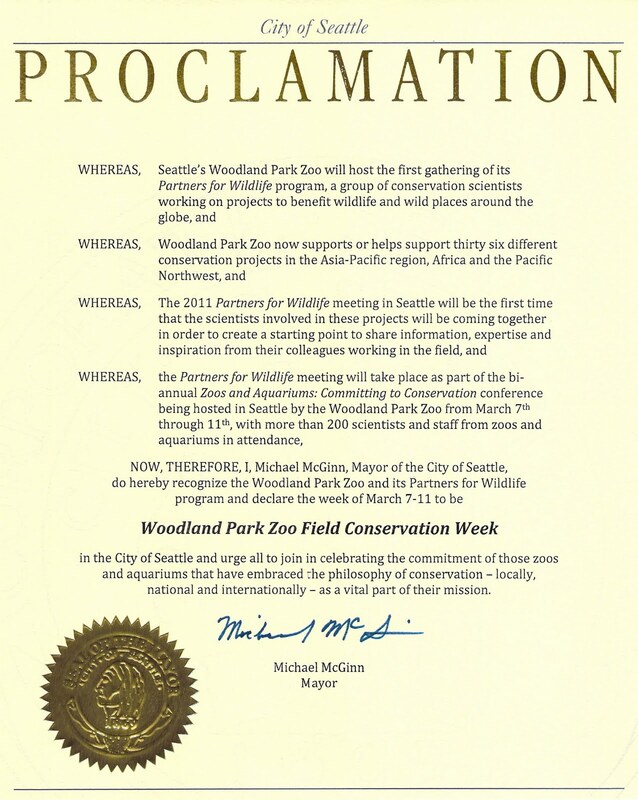 Mayor McGinn proclaimed March 7-11 “Woodland Park Zoo Field Conservation Week.” The proclamation ushers in a huge week for Woodland Park Zoo’s growing role in conservation as we host an international conservation conference and summit this week. 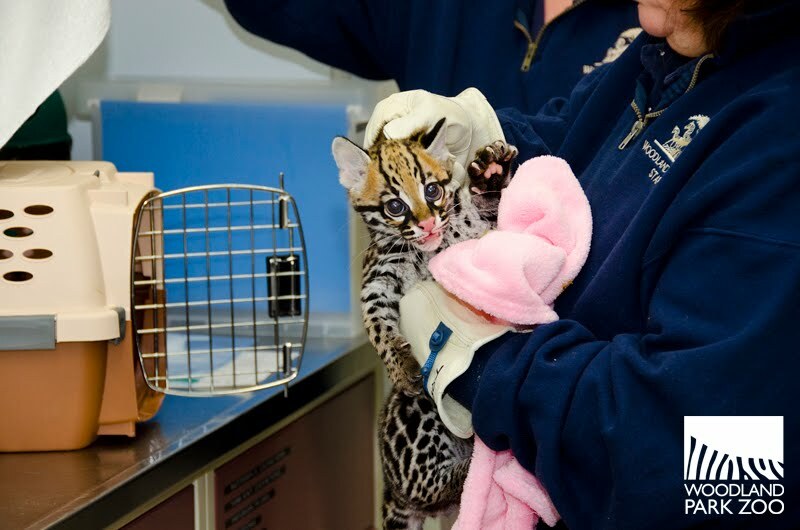 Nearly 250 zoo and aquarium conservationists, field biologists, wildlife agencies, and conservation organizations from 23 different countries and disciplines will come together for the biennial Zoos and Aquariums Committing to Conservation (ZACC) conference. The conference brings together some of the most successful field conservationists to share knowledge and findings, build stronger conservation bridges between wildlife and local communities, and establish direct links to zoos, aquariums and their stakeholders. 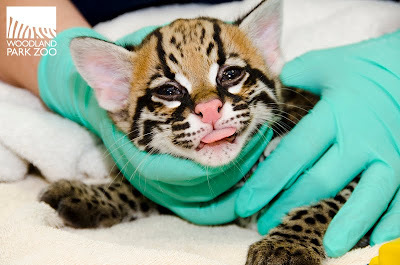 The need for conservation solutions is more urgent than ever. On a global scale, the planet’s precious wildlife is facing the worst extinction crisis since the dinosaurs vanished 65 million years ago. A landmark study launched last fall by the International Union for Conservation of Nature (IUCN) indicated that one-fifth of the vertebrates studied (25,000) are threatened with extinction and cited 50 species of mammal, bird, and amphibian, on average, are being pushed closer to the edge of extinction. 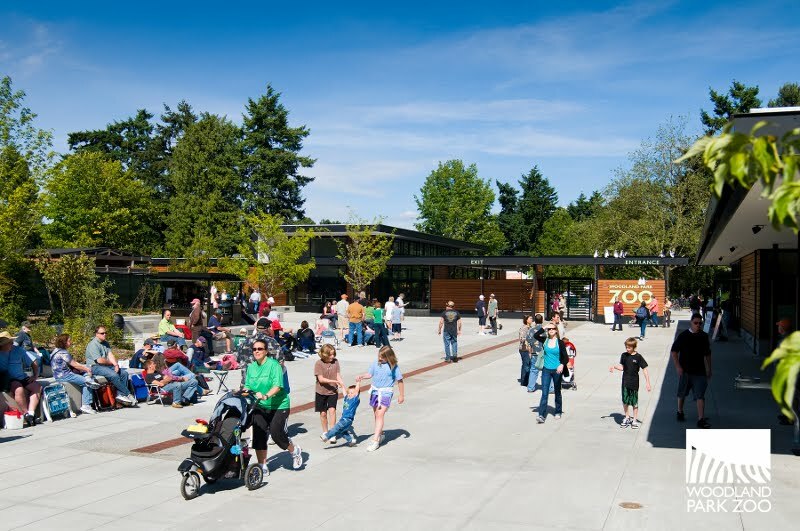 Woodland Park Zoo has long recognized the need for zoos to be a part of the solution in preserving wildlife species and their habitats. Through our Partners for Wildlife program, we partner with 36 field projects in more than 50 countries in the Asia-Pacific region, Africa and the Pacific Northwest. We work globally and locally with our partners and inspire our visitors here to take action, giving us all solid reasons for hope that we can turn the tide of extinction. 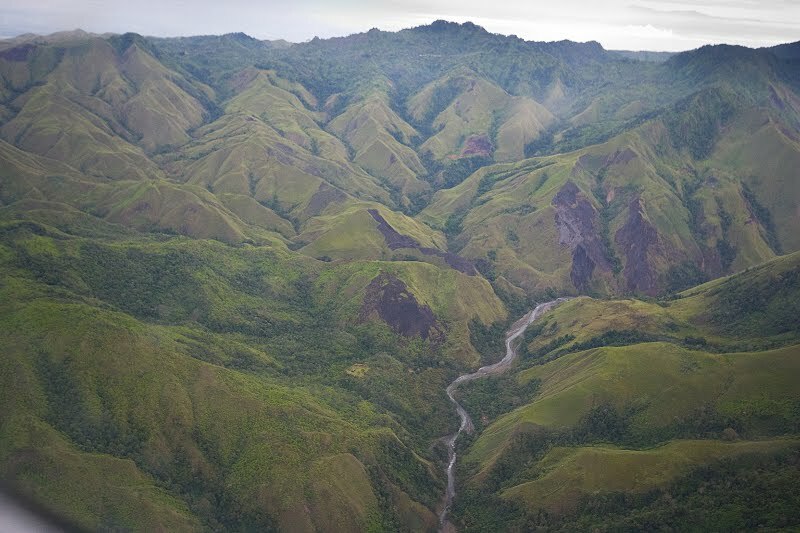 Reason for hope: Ninety clans of indigenous Papua New Guinea villagers have joined with WPZ’s Tree Kangaroo Conservation Program (TKCP) to set aside more than 180,000 acres of their own land to create their nation’s first-ever Conservation Area. 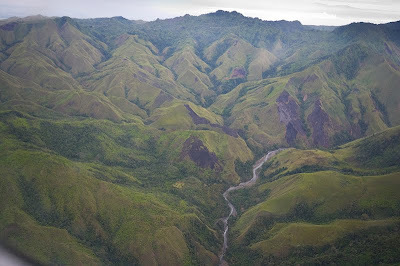 This protected rain forest habitat will be monitored by a community-based organization. TKCP is currently working to improve community health and build economic capacity in the villages. 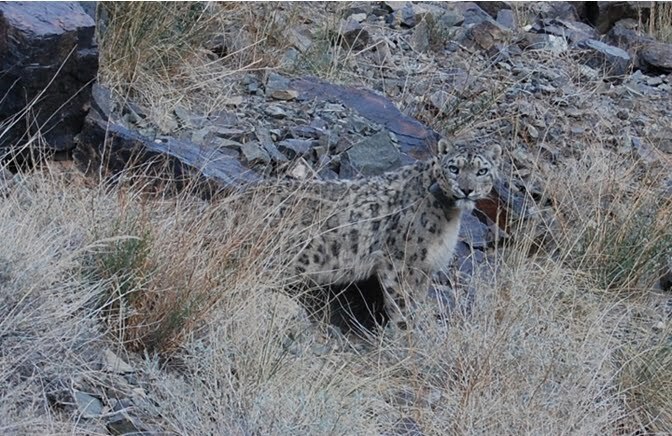 Reason for hope: The Snow Leopard Trust worked with community partners to protect an area the size of Delaware from mining in the Tost Region of Mongolia. This local protected area registration gives the region protected status for the next seven years and protects the movement corridors of the beautiful, elusive snow leopard. 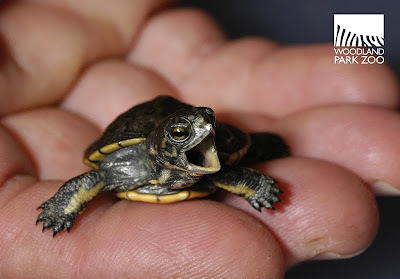 Reason for hope: The near-extinct population of western pond turtles in Washington state continues to crawl toward recovery. About 1,500 survive today and 2011 marks the milestone 20-year anniversary of the recovery project. Reason for hope: The Amur Region government in Russia leased another 1,000 acres of land in the middle of crane habitats to Muraviovka Park, rather than a governmental agency that had applied for the land. 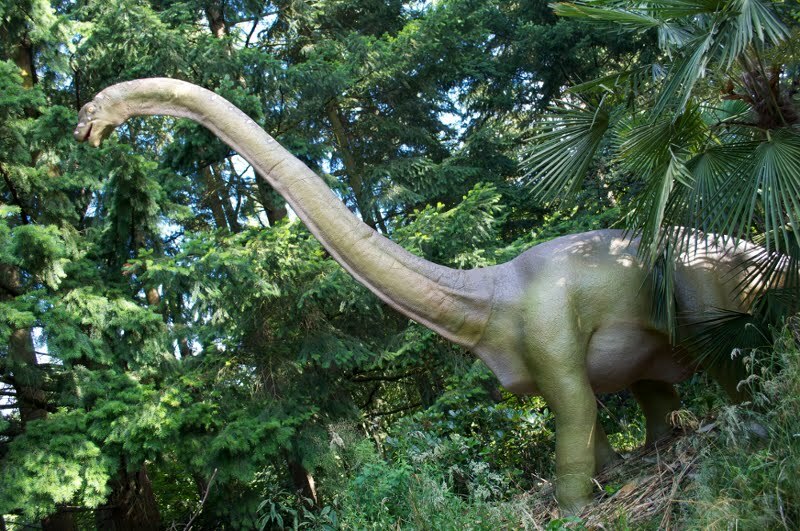 In addition, the park has been exempted from 98% of land lease taxes. 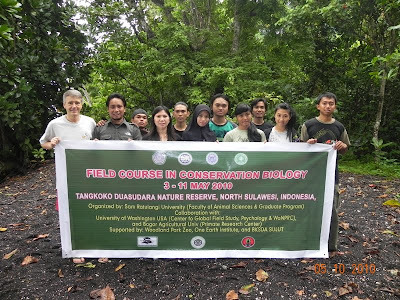 Reason for hope: To date, more than a thousand university students and professionals representing 95 institutions in 14 countries have participated in the Global Field Training in Conservation Biology and Global Health program. Reason for hope: The Tarangire Elephant Project in Tanzania has worked with tour operators and local communities to set up Conservation Easements on community lands, totaling nearly 60,000 acres protecting critical calving grounds for migratory wildlife. Reason for hope: The Oregon spotted frog took a big leap last year with 1,300 endangered Oregon spotted frogs released in the wild. These reasons for hope across the globe tell us one thing--there is still time for us all to make a difference. When you support Woodland Park Zoo, you support our conservation and education mission to save wildlife and wild places, inspiring people to learn, care and act. Together, we'll build a better future for wildlife. Photos (from top): Banner: Oregon silverspot butterfly by Ryan Hawk/Woodland Park Zoo, Tree Kangaroo Conservation Program by Ryan Hawk/Woodland Park Zoo, Tarangire Elephant Project by Mustafa Hassanali/Tarangire Elephant Project, Western pond turtle by Ryan Hawk/Woodland Park Zoo; Proclamation via City of Seattle; Forests of Papua New Guinea by Toby Ross/Tree Kangaroo Conservation Program; Collared wild snow leopard by Snow Leopard Trust; Western pond turtle hatchling by Ryan Hawk/Woodland Park Zoo; Red crowned crane by Igor Ishenko; Tangkoko field training group by Global Field Training in Conservation Biology; Tarangire Elephant Project by Mustafa Hassanali/Tarangire Elephant Project; Oregon spotted frog by Ryan Hawk/Woodland Park Zoo.